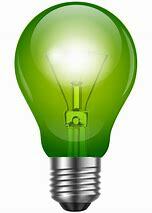 Home // Newsroom // Donation Essentials // YOU Can Shine A Light On Donation at Home For Blue & Green Day! 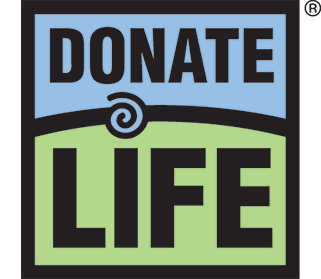 On Friday, April 12th, supporters of organ, eye and tissue donation across the United States will celebrate National Blue & Green Day as part of National Donate Life Month! Today there are nearly 115,000 people in the U.S. awaiting a lifesaving organ transplant and millions more awaiting lifesaving and healing tissue grafts. In Colorado and Wyoming, there are nearly 2,000 people awaiting a lifesaving transplant. While 69% of Coloradans and 60% of Wyomingites have already signed up on the Donate Life Colorado or Donate Life Wyoming Registry, April 12th is the perfect time to show your support and help educate and inspire people to sign up. Change your porch lights – this year, it’s as easy as switching out a light bulb! Just swap out your current porch lights for blue and green ones. You can find the colored lights at your local hardware store for under $5! Get in on the fun and let your neighbors know that YOU support organ and tissue donation! Don’t forget to share your photos with us on social media using #ShowYourHeart and #BlueandGreenDay! As always, you can show your support by donning your favorite blue and green outfit! Take a picture, share it on social with why you support organ, eye and tissue donation… and don’t forget to tag Donate Life Colorado or Donate Life Wyoming! #ShowYourHeart project – find our decorating stations and decorate an inspirational cork heart. Remember, you can bring these hearts to participating restaurants or movie theaters and redeem for freebies! Also, be sure to share a picture with you and your cork heart on social media with #ShowYourHeart (while wearing your blue and green, of course)! Donate Life America photo contest – wear your best outfit, get a group together for a picture, make your best blue and green food… the options are endless. Just follow the link above to learn how to submit your best #BlueandGreenDay pictures! Sign up to be an organ, eye and tissue donor at DonateLifeColorado.org or DonateLifeWyoming.org!